Dr. Daniel Batlan, MD, MBA | Medical Director of Specialized Pain Management in Las Vegas, Nevada. As founder and medical director of Specialized Pain Management, Dr. Daniel Batlan provides patents with quality care for conditions such as muscle spasm pain and herniated discs. Serving patients in Henderson and Las Vegas, NV, Daniel Batlan, MD, is also experienced in treating spinal stenosis, which becomes more common as people age and involves a narrowing of the spinal canal due to arthritis and other issues. 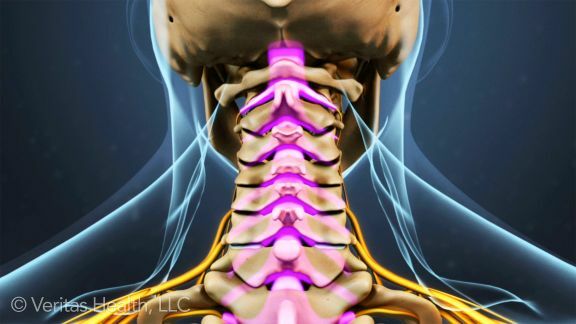 With the spaces between each vertebrae decreasing in size as cushioning cartilage breaks down, the spinal cord and surrounding nerves become pinched. In addition, bone tissue can grow, which results in tingling, pain, and numbness within the legs, torso, and arms. In certain cases, sciatica may occur, which is typified by an aching of the buttocks or lower back, accompanied by shooting pains that run down the legs. Other hernia symptoms include difficulty walking and standing, with upright positions accentuating vertebral compression and causing pain. Some patients may experience foot drop, which involves weakness in the leg and the development of a walking motion that involves slapping the foot on the ground. At Specialized Pain Management, a clinic with six locations, including Las Vegas, Nevada, and Henderson, NV, Dr. Daniel Batlan delivers a professional standard of pain management care to patients impacted by problems of back pain, cancer pain, and arthritis. An MD with more than two decades of experience, Dr. Daniel Batlan underwent post-doctoral specialist training at Johns Hopkins Hospital and the Cleveland Clinic. Pain management physicians focus on diagnosing and treating all kinds of pain, including pain with an obvious cause, such as an injury, and pain with no obvious cause, such as fibromyalgia. Pain management physicians treat pain using medications, including opioids and non-opioids, and through interventional techniques such as nerve blocks, physical therapy, and counseling. When working with patients, pain management physicians develop personalized and comprehensive treatment plans by carefully examining key metrics, including medical histories and results from laboratory or imaging tests. Recognized as a leading MD by Vegas Seven magazine, Dr. Daniel Batlan oversees patient care as the founding medical director of Specialized Pain Management (SPM) in Henderson, Nevada, a city near Las Vegas, NV. Dr. Daniel Batlan offers his patients a variety of treatment options for cancer pain and other painful conditions. One out of every three patients undergoing cancer treatment experiences pain, and the percentage is higher among those with advanced disease. Some patients experience pain as a direct result of a tumor destroying, growing into, or putting pressure on nearby tissues or nerves, while other cancers release pain-causing chemicals into the body. The chemotherapy, radiation, or surgery that treats cancer may also cause pain. For approximately 90 percent of cancer patients, a medication regimen can help control pain. Non-opioid, over-the-counter medications such as ibuprofen and acetaminophen may ease mild or moderate pain. Opioids for more serious pain are available by prescription, while other specialized medications can address pain with a specific cause or character. Cancer pain may also respond to alternative treatments, such as relaxation exercises, positive imagery, and hypnosis. Many respond to biofeedback techniques, which help patients learn to control otherwise involuntary processes such as blood pressure and pain levels. Some patients undergo transcutaneous electrical nerve stimulation, or TENS, which uses a mild electrical signal at the location of the pain to interfere with the pain signals, while other patients may prefer massage or heat therapy as localized options. 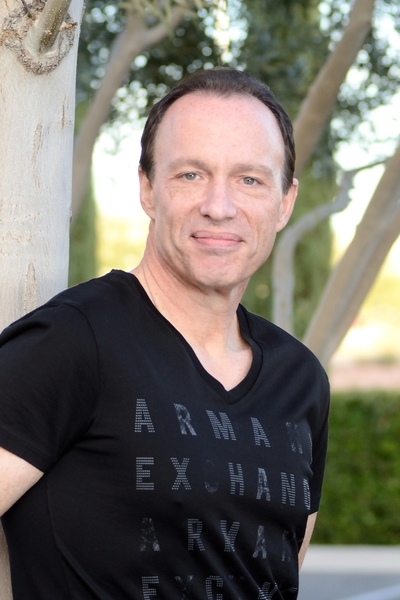 Certified in both Anesthesiology and Pain Management, Dr. Daniel Batlan is the founding medical director of Specialized Pain Management in Las Vegas and Henderson, Nevada. Dr. Daniel Batlan has more than 20 years of experience in treating different kinds of pain, including sciatica. Sciatica is by definition a specific variety of pain, which originates in the lumbar spine and radiates along the sciatic nerve down the back of the leg. Such pain arises when this nerve becomes pinched, most often due to a narrowing of the spine, a bone spur, or a herniated disc in the area. 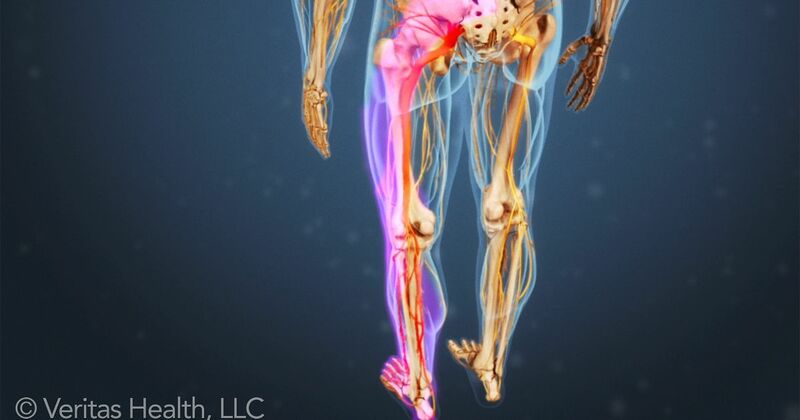 Sciatica typically develops in individuals who are 30 to 50 years of age. It is more common in patients whose lifestyle requires intense lifting or lengthy periods of sitting. Those who have nerve damage from diabetes, as well as those whose excess weight puts more intense pressure on the spine, are at increased risk. Some patients experience sciatica as a mild and occasional discomfort, while others suffer from severe and debilitating pain. A patient may also experience tingling, numbness, or weakness in the affected limb. These symptoms typically resolve on their own and require only over-the-counter medication, stretching, and cold or hot packs. Sciatica is readily treatable with cortisone shots such as Epidurals and Nerve Root Blocks. A lack of response to these treatments may indicate the need for stronger medications, though sustained pain over three months or more can mean that surgery is necessary. A qualified pain physician can provide specific recommendations. As a pain management specialist, one of the most common types of pain that Dr. Daniel Batlan treats is neck and low back pain. The human spine is designed to allow it to protect the body’s central nervous system while supporting the body’s core during weight-bearing activity. Running from the cervical vertebra down to the sacrum, the spinal column consists of 24 bony structures called vertebrae. The spinal cord runs through the center of the spinal column, while cushioned discs rest between each vertebrae to keep the bones from rubbing together, as well as to protect nerves from impingement. Many factors may lead to degeneration or tearing of these spinal discs, including injuries, genetic factors, hard work, and age. As the discs degenerate or tear, water and other fluids may leak from them, reducing the cushioning and natural protection. Likewise, the fluid that leaks from the disc’s nucleus may irritate nerve tissue. All of these factors may cause significant pain along the spinal column and throughout the back. When Dr. Batlan suspects intervertebral disc damage, he may recommend that his patient undergo an advanced procedure entitled discography, so he can determine whether specific discs are damaged and causing pain. During a discogram, sterile X-ray contrast dye is injected into a disc using a thin needle while the patient is under sedation. X-rays will show whether the contrast remains in the center of the disc, indicating a healthy disc, or if it spreads, indicating a compromised one. The quality of the information that is created with discography is often far superior than the information that is conveyed from other imaging procedures such as plain Xrays or MRI scans. Discography may enable Dr. Batlan to pinpoint the exact location of tear(s) in the spinal disc(s). As a pain management specialist in Las Vegas, Nevada, Dr. Daniel Batlan treats conditions that cause significant pain. Acute and chronic pains often debilitate those who suffer from these conditions, leading to a significantly reduced quality of life. Pain management physicians like Dr. Batlan seek to improve the lives of their patients by identifying the causes of pain and applying therapeutic modalities to help them manage pain levels. 1. Compiling a detailed medical history: During this part of the process, Dr. Batlan asks about the patient’s subjective symptoms. Subjective complaints are symptoms self-reported by patients detailing their experiences, how frequently they occur, their intensity, and activities that cause them to worsen or improve. To obtain this data, Dr. Batlan has his patient to complete medical history forms, and he consults with them to gain a more in depth understanding of pertinent background information. 2. Acquiring past medical records: A patient’s past medical history may shed light on his or her current condition. Accordingly, Dr. Batlan may request records, labs, and imaging studies ordered or performed by previous health care providers. 3. Conducting a physical examination: Physical examinations provide Dr. Batlan with objective findings that demonstrate medical evidence of conditions that may be present. Along with obtaining basic vital signs, Dr. Batlan may conduct in-office studies that test range of motion, reflexes, and neurological function. 4. Taking images: In order to obtain further objective evidence, Dr. Batlan may order imaging studies that allow him to see structural and internal issues contributing to pain conditions. 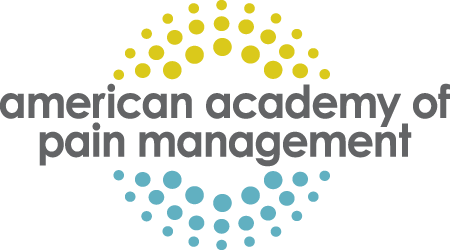 Some of these studies include X-rays, ultrasound, or magnetic resonance imaging (MRI). 5. Requesting laboratory tests: Dr. Batlan may also order labs, such as blood tests or urinalysis to look for chemical or biological elements present that may contribute to pain conditions. 6. Consulting with a specialist: In order to gain an accurate assessment, Dr. Batlan may also seek additional evaluation or consultation with specialists in related fields, such as neurology, rheumatology, or orthopedics.